A sermon preached on the Feast of Pentecost, May 24, 2015, at Christ Church SeiKoKai, by Christopher L. Webber. Christ Church SeiKoKai is the historic Japanese congregation in San Francisco. Logically, it makes no sense to use different languages. It’s far more effective to have one common language so we can all read the same newspapers and buy a loaf of bread in any store and go abroad to study or maybe go to the same church. Why don’t we do the sensible thing and all speak Japanese or English – or Latin or Esperanto? Some say that Hebrew is the language of heaven and we will all have to take a crash course. But wouldn’t it be simpler if we all spoke the same language? Why don’t we? The Bible’s explanation is strange: it tells us that human beings had set out to take God’s place, so God confused their languages to make that impossible. I think I would explain it differently: yes, it would be more effective if we all spoke one language but maybe we don’t want to be effective. Maybe we would rather be able to conceal our thoughts and plans so our enemies won’t know what we’re up to. Maybe that’s why government officials today stamp “Top secret” and “Confidential” on all their documents. I think we’ve learned to like having separate languages and secret languages. We can even develop our own language, or we can talk in code, or we can mark things “Secret.” So no one else will know what we’re saying and what we plan to do and still we try to build our tower to heaven, our anti-ballistic missile system or whatever it is and keep others from knowing what we’re up to. We’ve learned to like having separate languages. Teen-agers almost automatically develop their own language so their parents won’t understand them. God doesn’t need to scatter our languages; we do it ourselves. And here we still are today nationally and internationally divided by language as much as anything – still unable to understand each other and work together in a common cause. God has nothing to fear from us. But of course, it’s deeper even than language because members of Congress may all speak English but even so they seem to have lost the ability to find the words of a common language and work together for the common good. God doesn’t need to scatter our languages; we do it to ourselves. I do sometimes wonder whether it was necessary for God to confuse the languages we speak. Even where we have a common language, it’s so hard to understand what someone else is saying, so hard to find words to speak to each other, to communicate, to unite. When the first missionaries arrived in Japan they set out to learn Japanese so they could tell the people of Japan about God. But it seemed to them that the Japanese didn’t have a proper word for God. The nearest Japanese word was “kami” – but “kami” was not a personal God like the God of the Old Testament or the God Jesus addressed as Father. “Kami” was not so much a person as a quality. Kami are elements in nature, animals, creationary forces in the universe, as well as spirits of the departed. 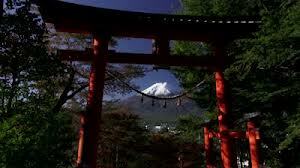 Fuji-san was “kami,” a strangely shaped stone was “kami,” and so was a lake or a beautiful view. “Kami’ was holiness, a sense of the mysterious, the holy, the divine, but it was too vague a word to satisfy t he missionaries who wanted a nice, clear, narrowly defined word like the Latin word “Deus” that they understood. Finally they decided they couldn’t use the word “kami” to talk about God. They decided they would have to fall back on Latin and just tell the Japanese that they came to teach them about “Deus,” and they would tell them about the very specific Deus revealed by the prophets as One who acts in history, who demands justice and gives mercy, the Holy One of Israel, a personal God, not an impersonal kami. You know the story of how the first Christian mission in the 16th century was suppressed by a ruthless wave of persecution and when Christianity came back 300 years later, in the middle of the nineteenth century, to make a new start with new missionaries they decided they would use the word kami after all but they would have to redefine it. 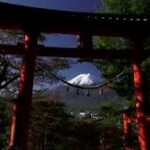 You have a sense of awe and reverence, they said, but what you sense in Fuji-san and in your shrines and in your places of beauty was embodied in Jesus the Messiah. “Kami,” they said, came to earth and was made known in Jesus. So kami was redefined to mean the personal God revealed in Jesus Christ. In the bi-ingual edition of the liturgy of the Nippon Seikokai if the word God is on the English side, the word kami is on the Japanese side. It’s not an exact translation but it works – more or less. “Kami” for Christians today is the God of the Bible. But, of course, the Japanese language is right also. God is not just the God of the Bible. God is also present and made known in the beauty of a snow-capped mountain and a grove of trees and a rock and a body of water. The west has been too often blind to the beauty of nature even the holiness of nature and could learn from the Japanese sense of kami. Maybe if the western world had that sense of the holiness of created things we would have been less destructive of our environment and would be more concerned now to preserve it. The words we use always tend to be too narrow, too limited, and the words of one language are far too limited to capture all we might want to say. We can come back from Yosemite or from visiting a grove of red wood trees or from a trip to Alaska or Africa and find ourselves saying, “I don’t know how to describe it. Words can’t do it justice.” Sometimes it’s our own inability to find words but sometimes there just aren’t any words. Sometimes other languages have words that don’t exist in English. The French have words for some things like “Coup d’etat” and “savoir faire” and for wine and food that don’t exist in English and so we lapse into French to express our meaning better. We learned about algebra from the Arabs and “amore” from the Italians. Theologians seem to need German to talk about zeitgeist and sitzimleiben and the numinous. They say that the Navajo language is better for discussing nuclear physics than European languages. So the multiplication of languages isn’t altogether negative. The existence of various languages broadens our ability to put labels on things and understand things in different ways. It would in some ways be a loss, a diminishment, if we all spoke the same language. The first missionaries to any new language area will be frustrated to find that the people of that new area may have a word or words for God but don’t give it the meaning the Christian missionary wants to express. But maybe the native language can say things that the missionaries need to know. So ideally both sides can grow in understanding as they come to understand each other. After all, the Bible itself is the story of how human beings have come to understand what the word God means. The God of the early books of the Bible is sometimes a rather angry tribal deity and one God among many. Gradually over the centuries God’s people learned that God was always more than they had understood or imagined: a God of power, yes, but also a God of justice yes, and also a God of mercy. When Isaiah says “God,” he says God is so far above us that the inhabitants of the earth look to him like grasshoppers Well, when I use the word God I mean the Creator of a universe that contains 100 billion galaxies and who knows how many universes. I can use the same word that Isaiah used but I need to stretch it far beyond anything the prophets or apostles could have begun to imagine. The inhabitants of the earth seem to us today as we look down from one of our satellites like specks of dust – if we can see them at all – in a universe vast beyond all imagining. And how can we still believe in a personal God who knows each of us and cares about each of us and grieves for our failures when we know the vastness of creation? No wonder fewer people go to church. It’s harder than ever to believe in a Creator who could bring galaxies into being and still care about human beings. But also, it seems to me, harder than ever not to believe. Could all this be a mere accident? I can’t believe it. So our task this year at Pentecost is, as it has always been, to break down barriers of language. God the Holy Spirit sets us an example. As the apostles were sent out into the streets of Jerusalem and able to communicate across the walls of language so we are sent out into the streets of San Francisco and urged to find words to communicate the love of God to a city and civilization where God is scarcely known. We are like missionaries to a world where the word God still needs to be explained and translated. As the first missionaries in Japan tried to explain that kami was too small a word for the Christian God so we need to find ways to explain some of our most basic words about God. Take the word “love” for example. The Bible tells us, “God is love.” If you really know what live is like, you will know what God is like. But if God is unknown in our world, so too is love. Oh yes, our world talks about love but love as it’s used around us is too narrow a word for the love made known to us in Jesus. I read an interesting article last week about the way the new pope is trying to shift attention away from abortion and birth control and talk instead about social justice. Yes, because to talk about abortion and birth control is to talk about a very narrow even negative understanding of love. Some would say the way the Roman Church has talked about sexual matters has done nothing to communicate a message of love. Maybe talking about social justice will do better. Maybe if the church advocates for better health care and a justice system that treats everyone equally people will begin to understand what the love of God is like. The Bible says that Jesus is the word of God. His life and death spoke so powerfully of the love of God that human words took on a new depth of meaning. The Gospel according to St John says, “In the beginning was the Word and the word was with God and the word was God . . . and the word became flesh and lived among us and we saw his glory.” What does the word “God” mean? Look at Jesus. What does love mean? Look at Jesus. Yes, but also look at Jesus’ followers. You and I are living words about God. If we go out from here to act in a way that shows people what God’s love is like then barriers are overcome and the people of San Francisco will see and hear and understand the full meaning of those small words that have changed our lives and are able to change the world.